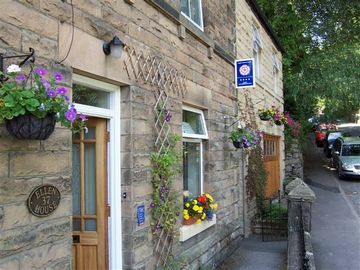 Ellen House on the outskirts of Matlock enjoys a quiet location yet is an easy walk from the town centre, its amenities and bus and railway stations. Great attention to detail has been paid to the bedrooms to provide that extra degree of comfort and guests can relax in the attractive terraced garden which affords great views of the town and countryside. 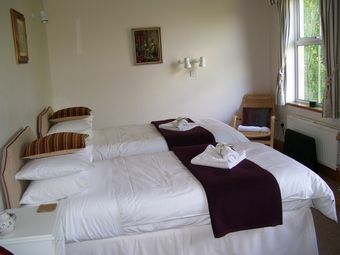 However, it’s the hospitality which makes Ellen House B and B that little bit special, for example the trays in the bedrooms stocked with home made goodies, delicious English and Continental breakfasts with locally sourced ingredients and the menu consisting of appetizing freshly cooked dishes. 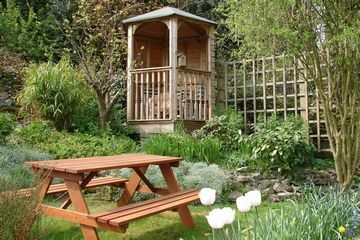 Ellen House is in an area of outstanding beauty with a wealth of activities and events catering for all ages - touring, cycling, walking, historic sites and museums. Alternatively, guests can just relax and watch the world go by!